State investigators in New York issued a subpoena to Michael Cohen on Wednesday as part of an ongoing multi-agency investigation into the Donald J. Trump Foundation, a spokesperson with the state's department of taxation and finance told ABC News. The New York attorney general's office, a separate New York state agency, filed a lawsuit in June accusing Trump's charitable foundation of having "operated in persistent violation of state and federal law governing New York State charities" for more than a decade by paying off legal bills with charitable funds, promoting Trump hotels, and purchasing personal items. 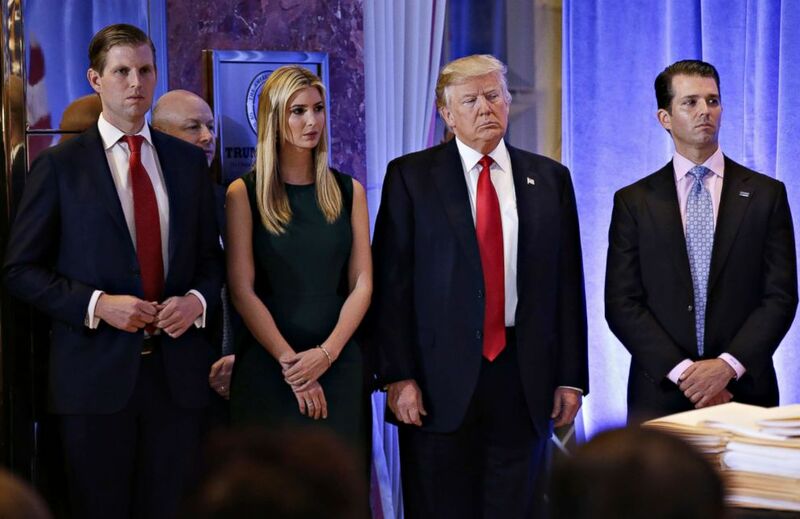 The lawsuit targets Trump and three of his children – Donald Jr., Ivanka, and Eric – and seeks to dissolve the private New York-based foundation and prevent the Trumps from serving as directors of any nonprofits in the future. James Gazzale, a spokesperson with the state's department of taxation and finance, confirmed that Wednesday’s subpoena asked Cohen "for relevant information in light of the public disclosures made yesterday," adding, "We will be working with the New York attorney general and the Manhattan district attorney, as appropriate." A spokeswoman with the New York attorney general's office declined to comment on the subpoena, as it is part of an ongoing investigation, but did say that "we will hold Donald Trump and his associates accountable for violations of state law, and will seek a criminal referral from the appropriate state agency as necessary." Cohen pleaded guilty on Tuesday to eight felony counts in a Manhattan federal court, including two counts of campaign finance violations spawned from hush money agreements with two women, Stormy Daniels and Karen McDougal, who claim to have had affairs with Trump, which he has denied. Cohen said in court, under oath, that he made those payments "in coordination with and at the direction of a candidate for federal office." President Donald Trump listens to the opening prayer during Air Force Technical Sergeant John Chapman's Medal of Honor ceremony at the White House, Aug. 22, 2018, in Washington, DC. In addition to the campaign finance violations, Cohen pleaded guilty to five counts of tax evasion and one count of false statements to a bank. 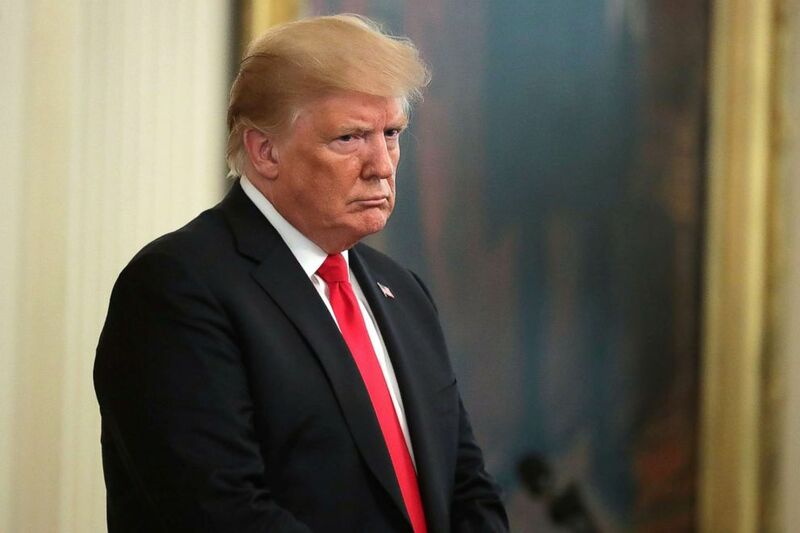 In response, President Trump tweeted that Cohen "plead guilty to two counts of campaign finance violations that are not a crime." During a briefing on Wednesday afternoon, White House press secretary Sarah Huckabee Sanders maintained that the president "did nothing wrong" with regard to Cohen’s guilty plea and implication of Trump. Speaking on "Good Morning America" on Wednesday, Cohen’s attorney, Lanny Davis, said his client "will tell the truth to everybody who asks him about Mr. Trump." Cohen is scheduled for sentencing in December.